Many businesses prefer acquiring new equipment once the older ones have failed, but buying a used one may not be a bad decision. While the used equipment may function like a new one, it is not always easy to choose which ones to buy. Therefore, if you are having trouble deciding which used equipment to purchase, here are six (6) pointers to remember so you can be sure you are making the right choice. 1. What are Your Specific Requirements? When buying used construction equipment, consider its model, size, attachments, and capacity before you can make the final decision. There could be a myriad of options which suit your requirements, so do thorough research first. Don’t make the assumption that the equipment will work because it worked effectively for previous users. Make sure you analyze your requirements carefully so you can be confident that you are making the right choice. Buying from Equify Auctions will give you a variety of options and equipment of different specifications that would meet your needs. When buying second-hand equipment, check the fluids to ensure everything is in perfect condition. Check the engine oil, coolant, transmission fluid, hydraulic fluid, among others. By assessing the fluids in the equipment, you’ll get an insight into the machine’s current condition and how well it has been maintained. Dirty or low fluid could mean that the previous owners have not been maintaining the machine and this could be a sign of a greater problem. Machines that have been used before will portray signs of wear and tear. However, it’s your duty as the buyer to find out how significance the wear and tear is. Look out for rust, hairline cracks, or damage which could result in a major breakdown of the equipment. In case you have to repair the machine, this will mean increased expenses and increased downtime, therefore rendering the equipment ineffective and expensive. Some external brake discs could be replaced at a lower cost, but there are instances when such repairs could be costly rendering the entire equipment useless. Check out for unusual noises and incorrect brake behaviors before buying a used machine. The most certain way to find out about the efficiency of the equipment is to inquire about its maintenance records. Were the fluids changed accordingly? How often were repairs conducted? Search for clues which could show how the equipment was used and how well the owners took care of it. When buying used construction equipment, it is advisable to check the machine’s scales for accuracy if the machine uses truck scales. If the scale is compromised, it may lead to errors which could greatly affect the reputation of your business, so ensure your equipment are well-calibrated. Additionally, you need to ensure that the equipment works at optimal efficiency at the time of purchase. 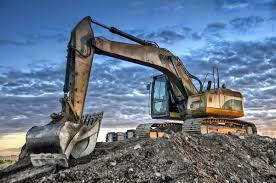 When acquiring second-hand construction equipment, go for brands and models which are popular. This makes so much sense as it will be easier to find replacement parts and their manuals.